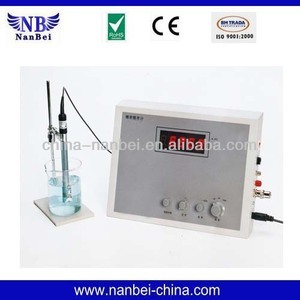 Dongguan NAPUI Electronic Technology Co., Ltd.
(2)High speed mode: The counter measures the average negative ion count per 10 sec. Good for quick measurement (3)Automatic measurement mode: The counter measures the average negative ion count of 8 consecutive 20 second measurements. A thermal printer prints out the maximum/minimum/average negative ion count data as well as the 8 negative ion counts. 1, Standard Method: Count the average amount between 20 seconds. 2, Simply Method: Count the average amount between 10 seconds. 3, Average Method: Count the 8 times average amount of average amount between 20 seconds. 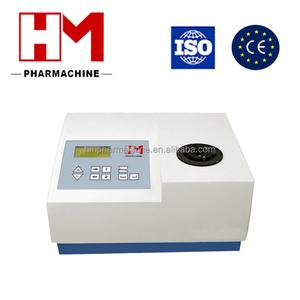 HM Pharmaceutical Engineering & Project (Zhejiang) Co., Ltd.
Specification: Measurement mode Model 1, Rapid measurement mode The detector measures for 10 seconds and then displays measurement value on LCD. 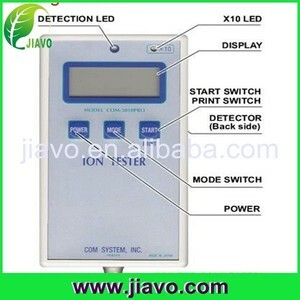 Model 2, Standard measurement mode The detector measures for 20 seconds and then displays measurement value on LCD. Model 3, Accurate measurement mode The detector measures for 20 seconds for 8 times and then displays the average on LCD screen. It could precisely measures the resistivity variation produced by different geologic substance to determine underground metal ,mineral and water location. Remarkable effect: Through the relative physical parameters variation like different conductivity between ore and non-ore object, it can get the relative information as ore vein direction, buried depth, thickness and deposit etc. 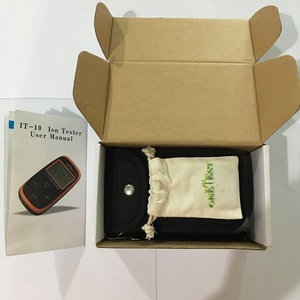 Pictures of ADMT-6A mineral negative ion detector: The Principle of ADMT-6A mineral negative ion detector: The principle of ADMT-6A mineral detector is nearly the same with traditional resistivity prospector, but enhances the speed more than 10 times. Anion Generator ozone water purifier generator ozone ozone detector Filters Hepa Related Products Our Company Dwon is a professional electronic products manufacturer and trade company with its own import and export license, was established in 2014 in Shenzhen Guangdong china. Our company specialized in consumer electronic & sport entrainment for IOS such as OTG usb i-flash drive,hand warmer power bank,HDMI type-C adapter,VGA adapter&hellip; superior quality is our principle, competitive price is our policy to win the customers&rsquo; trust. Our knowledgeable and experience staff will provide you with a personalized service to help you choose the products that fit your individual needs. 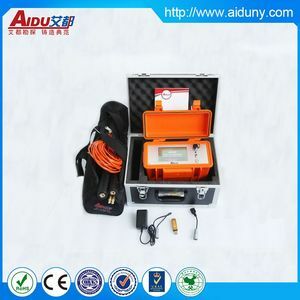 Alibaba.com offers 291 negative ion detector products. About 38% of these are testing equipment, 13% are air purifiers, and 1% are industrial metal detectors. A wide variety of negative ion detector options are available to you, such as negative ion, hepa filter, and activated carbon air filter. You can also choose from ce, cb, and ul. As well as from portable, mini, and usb. 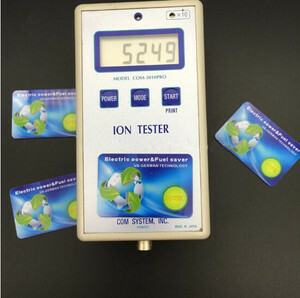 And whether negative ion detector is free samples, or paid samples. 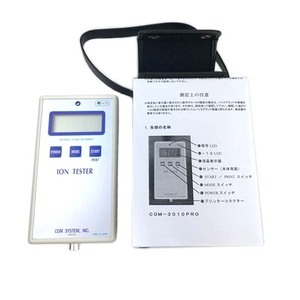 There are 211 negative ion detector suppliers, mainly located in Asia. 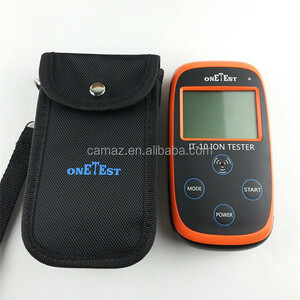 The top supplying country is China (Mainland), which supply 100% of negative ion detector respectively. Negative ion detector products are most popular in Eastern Europe, Domestic Market, and Eastern Asia. You can ensure product safety by selecting from certified suppliers, including 103 with ISO9001, 24 with Other, and 2 with ISO13485 certification.